Two suspects could face prison time if found guilty of attacking and robbing a legal immigrant from Togo in Maryland on April 13. 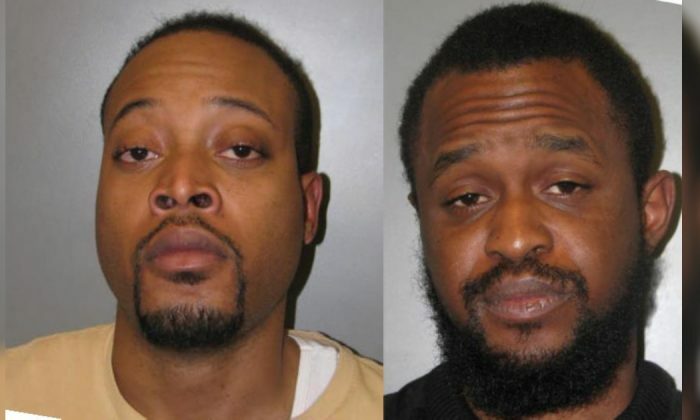 Germantown resident Jovan Crawford, 27, and Washington D.C. resident Scott Duncan Roberson, 25, are charged with robbing and assaulting the man, who was wearing a red hat with U.S. President Donald Trump’s slogan Make America Great Again (MAGA). Officers from the Montgomery County Department of Police’s fifth district accused Roberson of second degree assault and trying to steal goods worth between $100 and $1500. Crawford faces the same charges as well as malicious destruction of property worth less than $1000. Police reported the victim was walking near the 18000 block of Cottage Garden Drive in Germantown when he was approached by two men, who began harassing him because he was wearing the MAGA hat. When police arrived on the scene, they helped the victim find the suspects. Dozens of concerned citizens expressed their support for the victim on social media. “Use your hands to vote, not to double up on and beat someone for exercising their rights for freedom of speech,” Betsy Marshall said. One person questioned whether it was safe to wear a hat in public that aligns with the president. However, this did not stop one Trump supporter from posting a photo of himself driving and wearing a MAGA hat. “Come at me,” Michael Smith said. Anyone with information about the incident are invited to contact detectives from the fifth district investigative section by phoning 240 773 6237. WATCH: Police say two men attacked a U.S. citizen from Africa for wearing a ‘Make America Great Again’ hat in Germantown, Md.